Barnes & Noble Exclusive Heffalump Funko POP! Out Now! Disney Parks Exclusive Jolly Roger Funko POP! Coming 2017! Set sail on the seven seas with the new upcoming Disney Parks Exclusive Jolly Roger Funko POP! Disney are adding to their ever increasing line of parks exclusive Funko POPs, with an announcement today that showed us a preview of next years figure. What figure you may ask? Well it is a POP of Jolly Roger from the Pirates of the Caribbean films! You can be sure that this will only be the start of Parks exclusive POPs, i expect many more in 2017. They’re always fun to see as Disney is certainly one of the most interesting lines, but this can be of some contention with Funko collectors. Mainly because they’re exclusive to Disney Parks and some Disney shops, this makes it difficult for all but a few to get their hands on them without resorting to eBay! Are you going to be grabbing this one? I wonder .. shots and info coming up! Disney originally made the announcement on their Instagram page right here! Happy News Years Eve everyone! Here’s a little micro Funko POP News for the dedicated Funko fans. Not on sale yet, but the page for the Hot Topic Exclusive Flocked Winnie the Pooh is up. On the same note, you may notice the Flocked Winnie the Pooh is $16.50. It seems flocked POPs have risen in price again! The page for the Hot Topic Exclusive Logan POP is also up! Going on sale soon no doubt. One person found GameStop exclusive White Headband Ryu in their local Think Geek shop, he should be hitting stores soon keep an eye out! Some Walmarts are discounting their Black Friday mystery box down to $10! Grab one if you can, i still have yet to find one! GameStop is set to have an exclusive “Tele” version of all 5 power rangers, Tele is assumed to mean teleportation. I look forward to seeing these. GameStop also seem to be having another exclusive POP for the upcoming Mass Effect game. Read more to see more! Including our Amazon pick of the day. Hot Topic Exclusive Thunder Beam Mega Man Dorbz! Out Now! Here, have a little friend for your Mega Man collection with the Hot Topic Exclusive Thunder Beam Mega Man Dorbz! Is this the start of a long line of Dorbz Mega Mans? It very well could be. They’ve released pretty much all the Mega Man variants as POPs already, so Dorbz seems to be the next step. What will the next Dorbz be hm .. Boomerang, Ice Slasher and Fire Storm no doubt! Another thing about this POP is that it’s limited to 2,000 pieces, this seems to be an ever increasing thing with Hot Topic as the majority of their exclusive Dorbz lately have all been limited. Zebra Batman, Moana and Rainbow Batman to name a few. What do you think about them making every variant in both POP and Dorbz form, should they do both or do something to differentiate them? Glam shots and info coming up! Mega Man – Thunder Beam Mega Man #270 (Hot Topic Exclusive LE 2,000) $9.90 – Click me to buy! An Offer You Can’t Refuse. The Godfather Funko POPs! First Look! Box Lunch Exclusive Shadow Step Reaper Funko POP! Out Now! Quench your thirst for quick repaints of existing POPs with the new Box Lunch Exclusive Shadow Step Reaper Funko POP! This is the latest offering for all of you Overwatch fans and Funko fans alike, a third version of the Reaper. Now, unlike the White Reaper which actually has some merit, this one is a rather lazy repaint. Though saying that, a lot of POPs are! So anyway, this POP is meant to symbolize Reaper during his Shadow Step move from Overwatch. One of the key points about this POP, which differentiates it is that the bottom half of his jacket is semi translucent which is a nice touch. Aside from that they have painted his body black and given him red eyes. For a Reaper fan i’m sure this one would be a must! What do you think? I’ll have to get one up close to see if there are more subtle changes but for now, glam shots and info coming up! Overwatch – Shadow Step Reaper #93 (Box Lunch Exclusive) $12.90 – Click me to buy! Money Saving Tip: Earn 3.0% cash back at Box Lunch by going through eBates (Also there is $10 gift card for new members!) click me to sign up! All you have to do is sign up, then go to the Box Lunch page at eBates and click Shop Now! 3.0% Cash Back is now yours for anything you buy there at no cost to you. Funko Shop Exclusive Wally Gator Dorbz 4 Pack! Out Now! Make sure your friends know who has the most variants with this new Funko Shop Exclusive Wally Gator Dorbz 4 Pack! Better yet stick this with your Batmans and Lil Gruesome 8 Pack. Kidding aside, this is only the latest in the line of Dorbz packs Funko has done that feature different colored variants. The green Wally Gator Dorbz from a while ago is still on the store, and i doubt it will sell out anytime soon! Usually they make these colored Dorbz variants to match POP variants, so let’s see. We have a green and blue POP already, with my prediction power i’m seeing an orange, pink and light blue Wally Gator POP in our future. What do you think? I’m not a fan of these, but i know there is a community of Funko collectors who love anything Hanna Barbera so i’m more than happy for them to get these releases. Glam shot and info coming up! Hanna Barbera – Wally Gator Dorbz 4 Pack (Funko Shop Exclusive LE 1,000) $29.99 – Click me to buy! ~ 675 Left in Stock! Money Saving Tips: Nothing i can give you here sadly, Funko Shop doesn’t do coupons, cashback or anything like that. Only thing i can say is try and combine shipping wherever possible! Shipping is a flat rate of $6.95 no matter how much (or little) you buy. Get Your Sunblock Ready. Blade Funko POP! Coming Soon! Hope everyone’s Christmas and Boxing day went well! What did you all get? I wonder! Have some micro Funko POP News for the day updated as they come. Barnes & Noble is running a clearance sale of 50% off! Many Funko items included, also use code “SLDJ4YKZSZKPA” to get another 15% off on top of that! Shirt Punch is running a sale on Funko POPs, all POPs are $5.99 to $7,99 at most. 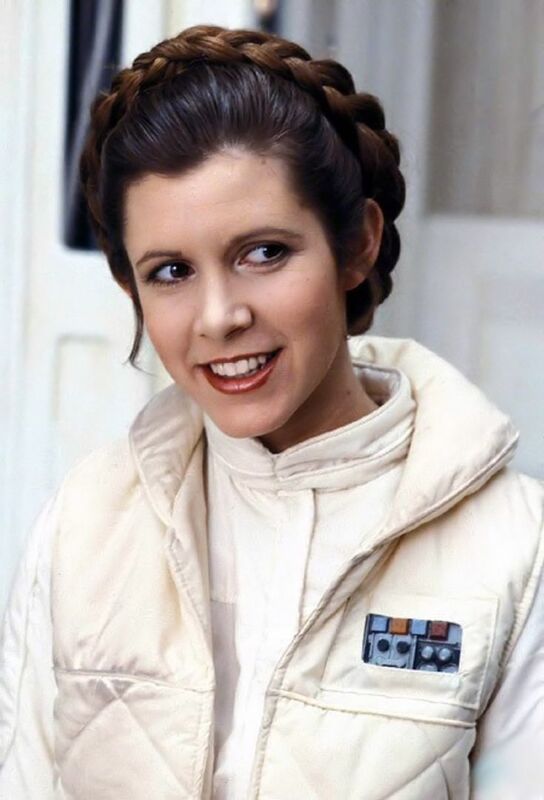 Very sad news about Carrie Fischer! The Walmart Exclusive Chrome Death Trooper has gone down in price to $7.60, great time to grab him! If you already have just contact Walmart and they will refund you the difference. Read more for our daily Amazon deals!